We are excited to be hosting another art show featuring the work of our friend and local artist Kathryn Beals! 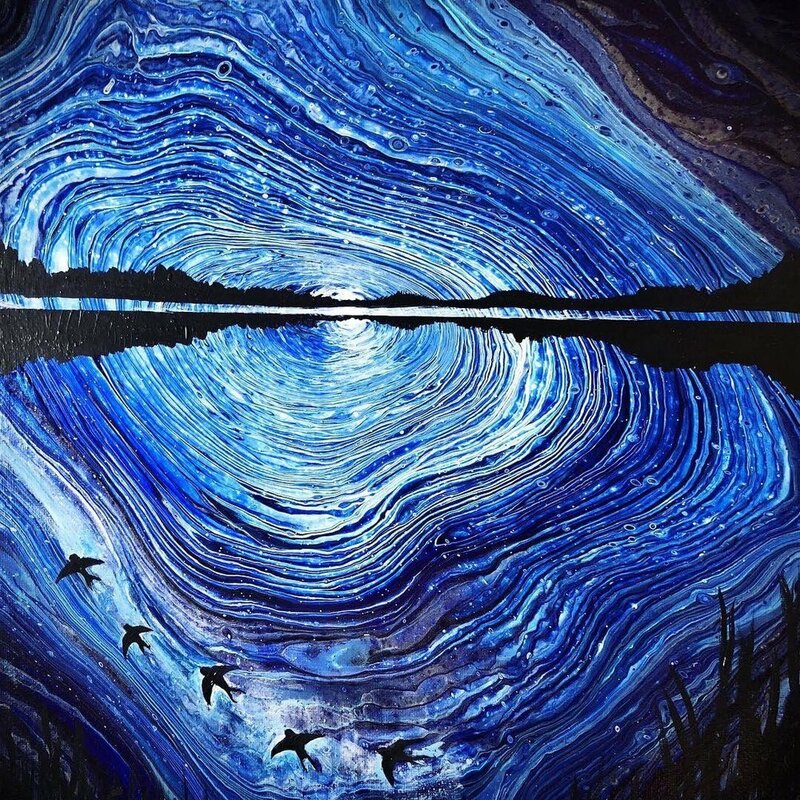 Her awe inspiring abstract and landscape pieces are influenced by her travels and love for the great outdoors. A selection of her art pieces are currently live at Bumble for purchase and viewing. Visit us for a dose of healthy, organic food mixed with fine art!
" 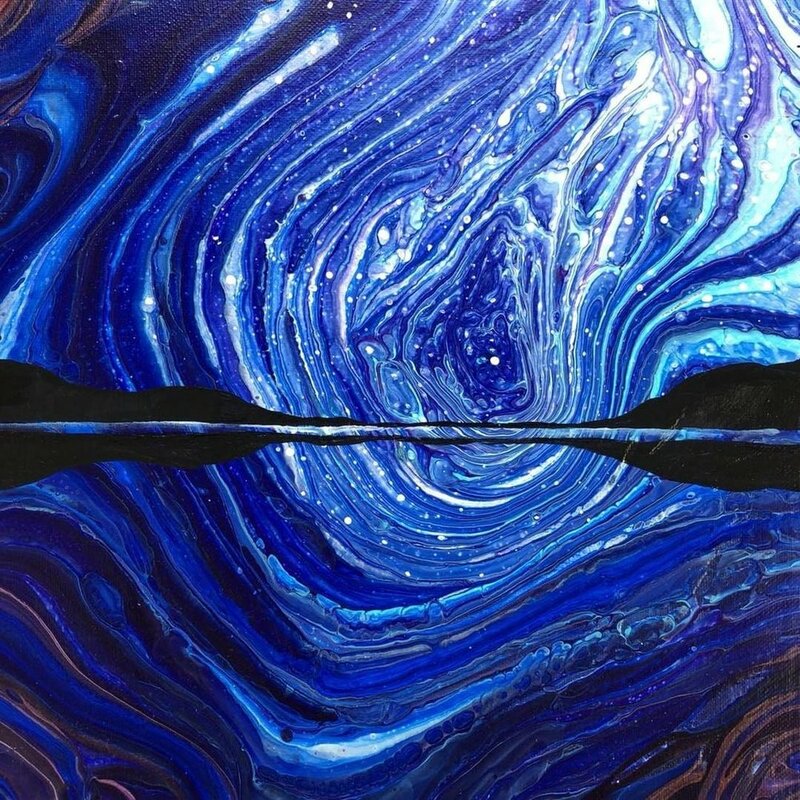 I'm a self-taught painter from British Columbia with no formal training in art. I've been selling my artwork professionally since I was thirteen, and painting full-time since 2005. I now live in Mountain View, California with my husband and three young children. My landscape style is influenced by many beautiful places I have lived in the Canadian north, my former career in forestry, and the places we've seen in our little orange tent. We have backpacked sections of the Pacific Crest Trail, the John Muir Trail, the West Coast Trail, and many remote areas of northern Canada. I attribute the color and movement in my paintings to my synesthesia and migraine auras. These conditions have shaped the way I see the world, and enhanced my development as an artist. 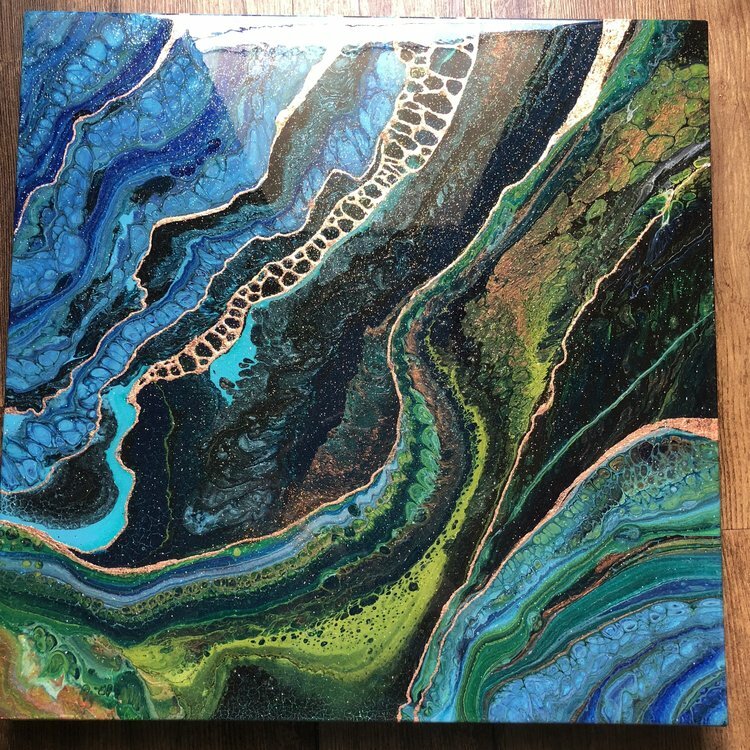 My primary medium is acrylic on canvas, but I also work with resin, metal leaf and wood. 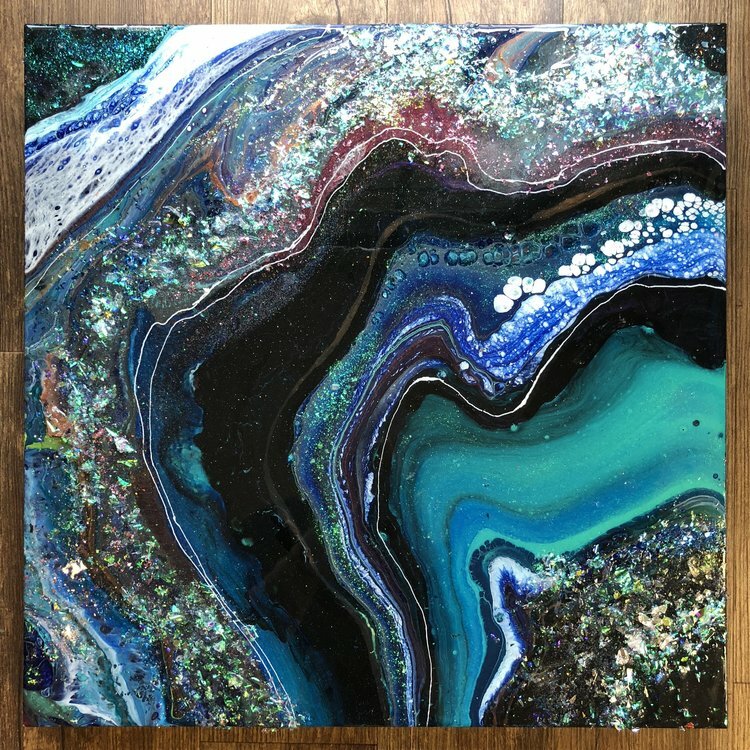 In 2017, I discovered fluid abstracts, and immediately fell in love with the way fluid paintings come out looking like something in nature, from cells to rocks to aerial photos to galaxies. I've been experimenting with adding resin and metallic leaf, which you can see in short videos on my Instagram." 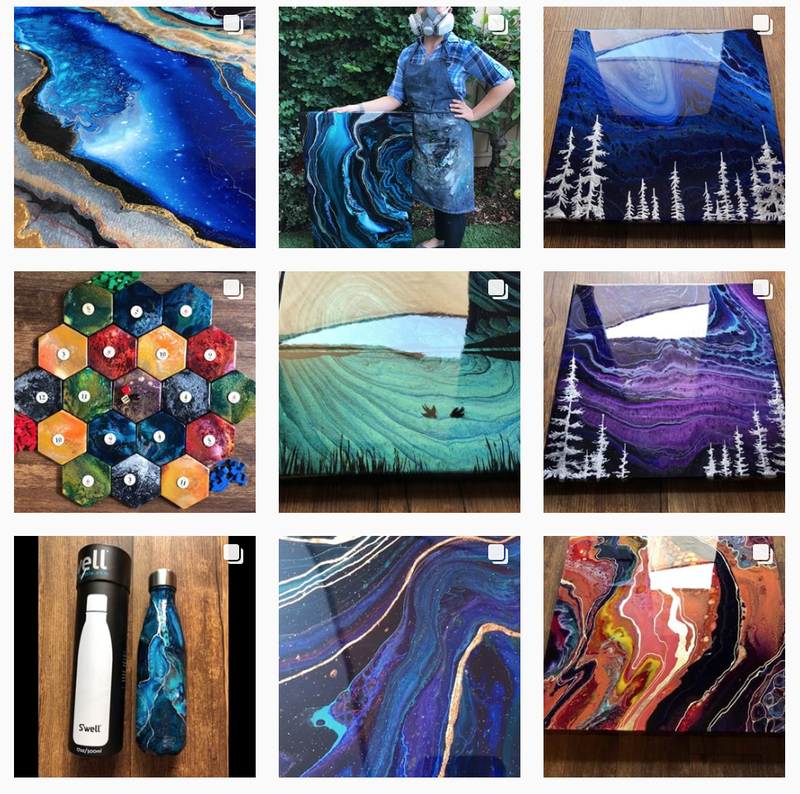 You can support local artist Kathryn Beals by following her on social media and checking out her website! 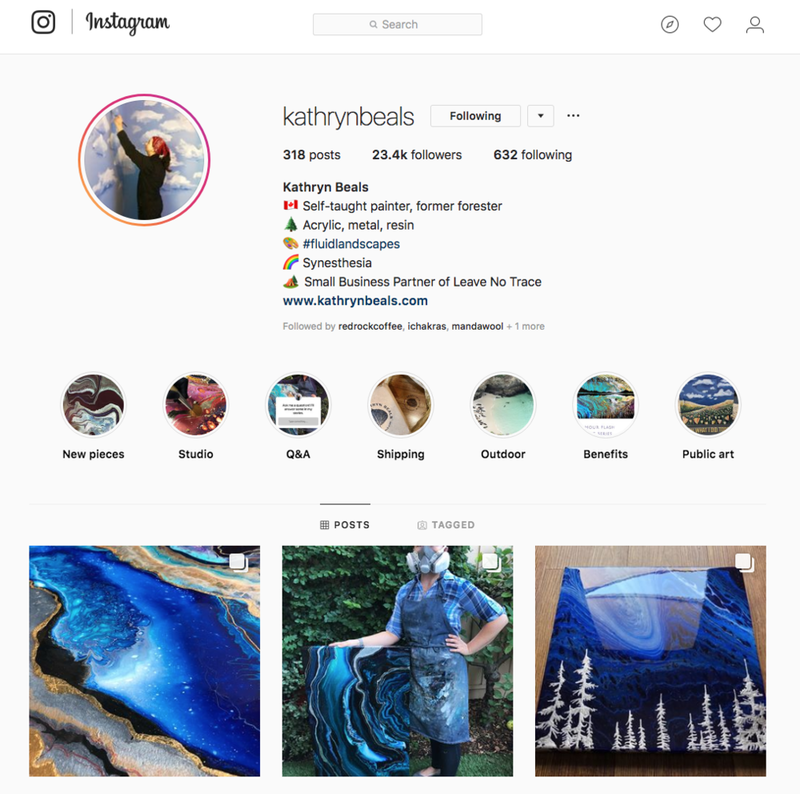 Follow Kathryn on Instagram to see her newest projects! 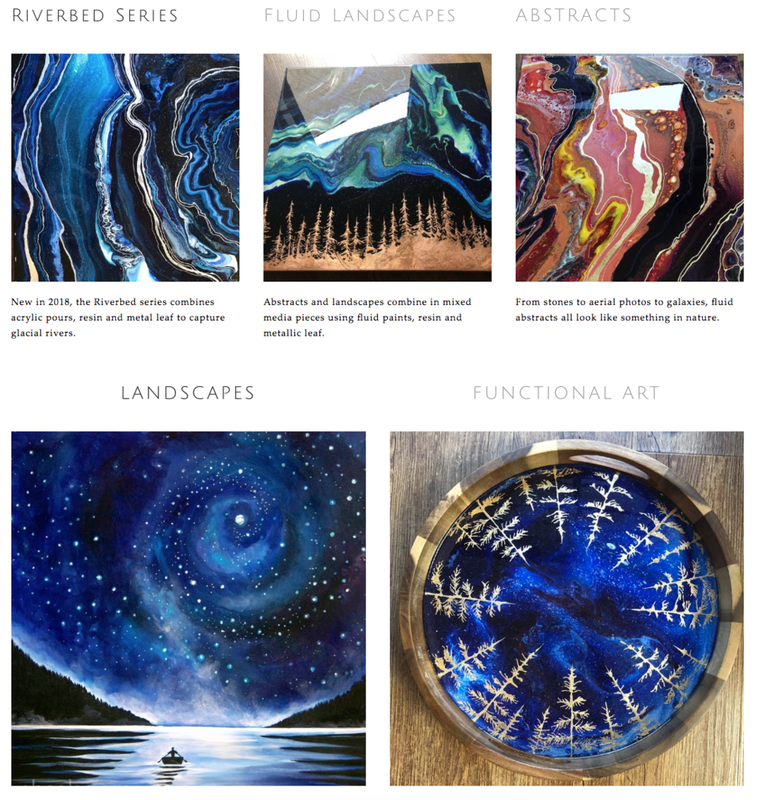 Visit her website to purchase art and find our more about Kathryn!